Can't get enough monster trucks? Mattel is here to save the day with these awesome Hot Wheels Monster Jam 1:24 scale die-cast metal vehicles! These babies might be mini, but they're still monsters! 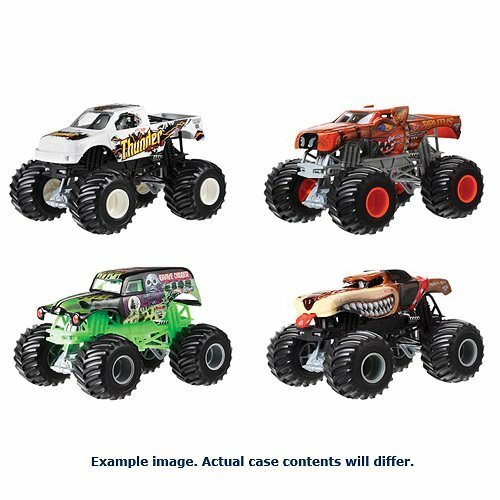 This Hot Wheels Monster Jam 1:24 Scale 2018 Wave 3 Case (994D) contains 4 vehicles. Breakdown not available at this time. Ages 3 and up.